Tag: All Access, All Access Music, All Access Music Group, Andy Frasco, Andy Frasco & the U.N., Artist Interview, Can't Force Love, Change of Pace, U.N.
Andy Frasco describes himself as a “professional traveler, so-so musician, and optimistically barefooted Lakers enthusiast.” He forgot to mention “humble.” Because, rarely does a “so-so” musician travel the world, bringing audiences to their feet with a unique brand of funkified rock. 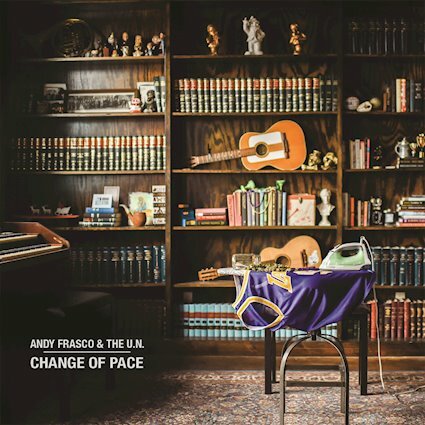 Andy Frasco & the U.N.’s full album, Change of Pace, officially dropped on February 22. In December 2018, the band released the album’s telling title track, “Change of Pace.” “Change of Pace is a song about finding your balance in life,” shares Frasco. “If you feel like your life is swinging too far to one side of the spectrum, it’s okay to take a step back every now and then to try something new.” Frasco dropped “Change of Pace” via his popular podcast, Andy Frasco’s World Saving Podcast. Frasco uses the platform to share his experiences traveling the world, while interviewing other musicians, like Portugal. The Man, Chicano Batman, Dave Schools and select comedians like Todd Glass. Formed in Los Angeles in 2013, Andy Frasco & the U.N. consists of Frasco (lead vocals, piano), Andee Avila (drums), Shawn Eckels (Guitar), Ernie Chang (Saxophone), and Chris Lorentz (Bass). Their sound has been described as “rock fueled by reckless abandonment and a disregard for the rules.” To date, Andy Frasco & the U.N. has released a few studio albums including Half a Man (2014), and Happy Bastards (2016). 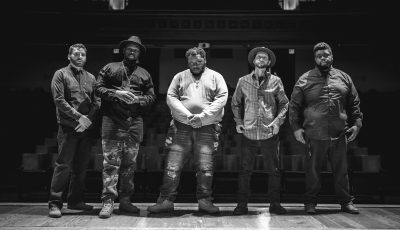 Last year, they released their first live album (CD and DVD) entitled “Songs From The Road” which was recorded in August 2016 at the Tucher Blues and Jazz Festival in Bamberg, Germany. 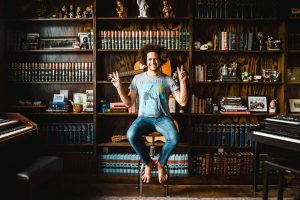 Since their inception, Andy Frasco & the U.N. have wowed audiences at Electric Forest, Rock am Ring, Rock im Park, Zwarte Cross Festival, Jam Cruise, Rock Boat and Mountain Jam. In 2014, the band was selected by Live for Live Music as the top performance pick at Electric Forest Festival. Catch Andy Frasco & the U.N. on TOUR! Just trying to give the best and most heartfelt performances I can everyday. Life is about living in the moment and if I can stay present more, and stay off my phone, then I feel that’s a solid New Years resolution for 2019… Oh ya, probably drinking less would help. Music has always been so important to me. I remember the exact moment I wanted to be musician… I was at a Damian Rice concert when I was 19. I had never seen someone captivate that many people in a room with just a song and a guitar. I walked out of that concert thinking, “I’m not going to stop doing this until I can do what Damian did to that group of people in that room”. 12 years later I still haven’t stopped. I love the music industry. If I wasn’t a musician, I’d probably be an agent or manager. Having musicians I look up to watching our show on the side of the stage with their guitars ready to jam with my band when I point at them. This is why we play, so we can connect spiritually with everyone in the room. 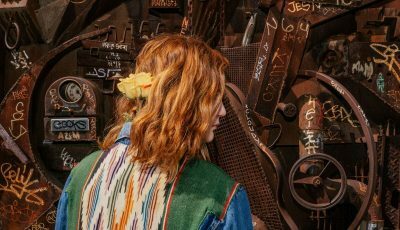 The welcoming challenge to it all is keeping everyone present, plus being present yourself, so we don’t drive this musical caravan into auto pilot. I grew up in LA.. I love it, I really do. But my music wasn’t influenced by that culture…it just wasn’t for me. I had to go down to Arkansas, Missouri, Oklahoma, and Louisiana to really find the music I came to love and appreciate. 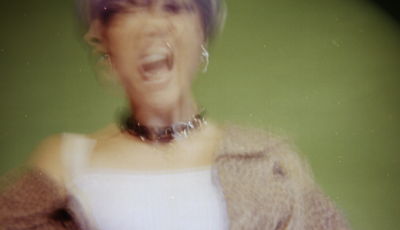 What was the inspiration for your newest single “Can’t Force Love”? How does it compare to anything else that you have released? “Can’t Force Love” is basically a song about myself. I’ve been stuck trying to give so much love to everyone else that I forgot about the happiness I need to find inside of me. It’s the most honest I’ve ever been with myself. It was tough to write but I’m extremely proud of it. What does it feel like to be releasing your upcoming album, “Change of Pace” soon? What was it like recording this collection? “Change Of Pace” is a new chapter for me. I wrote this collection of songs not worrying about my live show, but how I was feeling in the present. It helped my lyrics and it helped me make the art I wanted to make for myself for once. I’ve watched myself grow through this process recording with people I look up to so much, like Dave Schools, Ben Ellman and Caleb Hawley. It’s really one of the first times I shut up and listened to everything these legends had to say. How has your current tour been going? What have been some favorite venues and crowds so far? Where are you excited to play at next? Tour has been great. We’ve been doing 250+ shows a year now for the last 12 years. I can’t really remember what my favorite venues or crowds are because they are all so different and unique. But one of the most heartfelt relationships I have with my fans is when I go on the Jam Cruise or Rock Boat. It’s extremely hard to keep up but with this day & age you kind of have to. It’s 40% of your job I feel. We all live in this state of FOMO ever since we attached the phone to our hands. I’m trying to change that with my fans so I started a podcast called Andy Frasco’s World Saving Podcast. I talk to my fans once a week – let them know how I’m feeling, and then interview somebody in the music scene. I’m trying to show people that we aren’t any different than the people listening to the music. I really love doing this podcast. Traditional Adult Bar Mitzvah where a crazy Uncle spiked the punch with LSD. Anything Wes Anderson… literally anything. I want people to feel comfortable with themselves after listening to my music. We’re all the same, it’s just how we feel about ourselves that changes our perspectives on others. If I can get people out of their heads and into the moment, then I’ve done my job in my eyes.